The event was part of the 'Réunion Internationale' at which all 23 international ESMOD schools met in Berlin for the first time. At the fashion gala the ESMOD schools presented selected collections from ten designers and graduates. Amongst others this event included, Augustin Teboul (ESMOD France), Marina Hörmanseder and Vanessa Morin (ESMOD Germany) and Chloma (ESMOD Japan). In the presence of over 400 guests from fashion, design, art and politics the designers of nine countries presented their latest collections for Spring/Summer 2015. 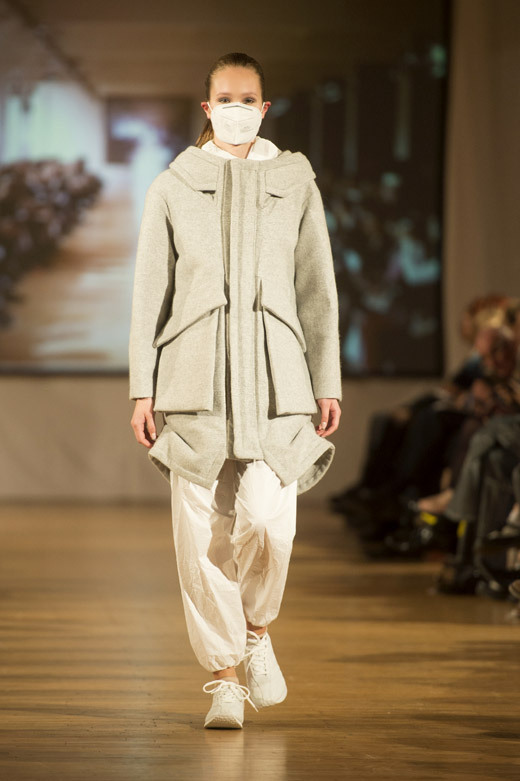 The audience were excited to see the new collections from ESMOD Germany graduates Marina Hörmanseder and Vanessa Morin. Augustin Teboul, Black Rat and Chloma also brought international flair in the capital with their collections. Both Ready-to-Wear and Haute Couture as well as Avant-Garde and artistic creations were represented on the catwalk. Also Tamara Gräfin von Nayhauß, Trixi Millies and Prof. Dr. Jo Groebel were amongst the international guests. 'We are very pleased by the great interest in our International Reunion and our anniversary. The collections of the international designers are living proof of the creative potential in the ESMOD schools worldwide' declared Silvia Kadolsky, Founder and Co-Owner of ESMOD Berlin. The International Reunion was held as a three day Symposium, during which the emphasis was set on an intercultural dialogue of creative and educational exchange took place between the ESMOD schools. For over 25 years Dorothea Beisser and Silvia Kadolsky made the decision to take the French philosophy and the right to high quality design to Germany and founded the international fashion school ESMOD Munich in 1989, followed by establishment of ESMOD Berlin five years later. Next to the interdisciplinary Bachelor Programme with the main focus on 'Modelism' and 'Stilism' ESMOD Berlin also offers the Master Programme - Sustainability in Fashion. The importance of an international direction and the connection of practice and theory become highly apparent in both study programmes. Multilingual professors, workshops as well as the study of economic principals are components of the study at ESMOD Berlin. This internationality, the constant pedagogic exchange between all ESMOD schools and the high affinity for practice, the English and German Bachelors as well as the sustainable Master Programme make ESMOD Berlin one of the most innovative art academies in Europe.